Bruce Partington has been named a Fellow of the American Bar Association. The Fellows comprise a global honorary society of attorneys, judges, law faculty, and legal scholars whose public and private careers have demonstrated outstanding dedication to the highest principles of the legal profession and to the welfare of their communities. Membership in the Fellows is limited to one percent of lawyers licensed to practice in each jurisdiction. Board Certified in Construction Law since 2005, his practice is largely devoted to this area, as well as other business and insurance litigation. Partington regularly represents those involved with the construction and development process such as private owners and developers, design professionals, contractors, subcontractors and suppliers. He has experience in both contract drafting and dispute resolution processes in public and private projects throughout Northwest Florida and beyond, in state and federal courts, as well as arbitration and mediation. 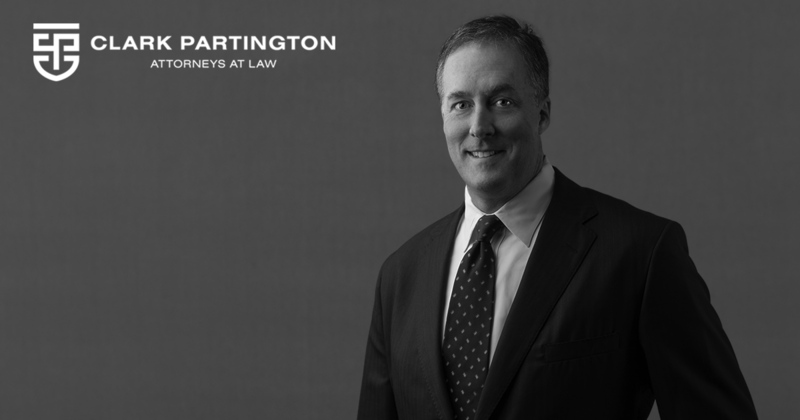 Partington followed in his father’s footsteps and has been practicing law at Clark Partington for more than 25 years. His greatest hope for the future of his practice is that more clients will come to understand their lawyers as trusted advisors who can assist in avoiding problems, rather than only being hired to tackle problems. When he’s not expanding his knowledge on the ever-changing world of law, he enjoys spending time with his family, sailing, backpacking, and doing anything in, on, or around the water.